'Bezier Chine' is a design and construction process which enables 'one-of' builders to construct true round sailboat designs as easily as a hard or radius chine design. The practicality of Bezier Chine is that it is simple, consistent, and predictable. There is nothing vague about the method. 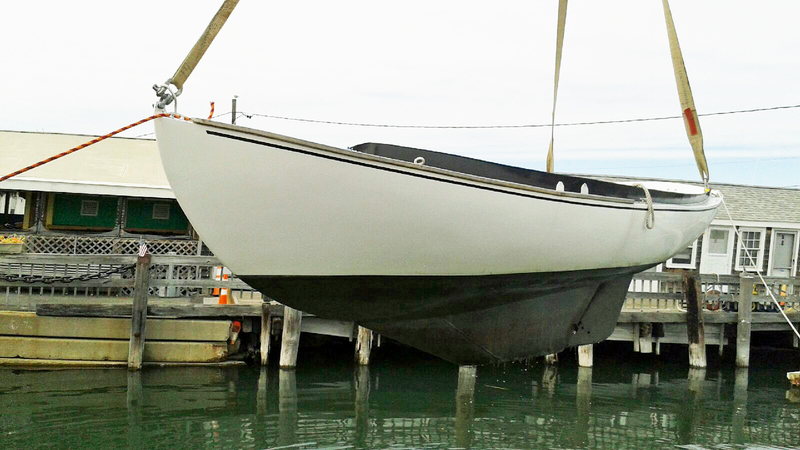 If you think you have the skills to build a hard or radius chine hull, then you have the skills to build a true round hull like the Bezier 12.5 shown below, or one of the other 'Bezier Chine' designs listed for sale. ‘Bezier Chine’ design is based on hand drafted layout principles common to architectural metalwork dating back to a much earlier time. ‘Bezier Chine’ designs are built by standard metal forming principles common in today’s metal fabrication industry. 'Bezier Chine' avoids the artistic and special hands on skills required to build traditionally fabricated true round hulls. You can see the simplicity of 'Bezier Chines' principles within the context of this web site. 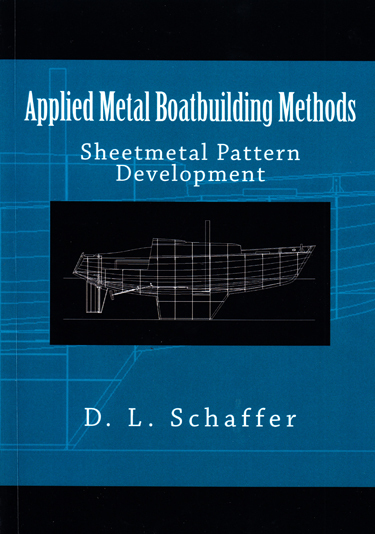 'Bezier Chines' principles are fully described and illustrated thru the building of the 'Bezier 12.5 in my book "True Round Metal Boat Building" which can be purchased on Amazon. All 'Bezier Chine' designs are true round designs, but all true round designs are not bezier designs. To build a boat using 'Bezier Chine' it must be design and developed by 'Bezier Chine'. Click on the links below for an overview of 'Bezier Chine'. Hull panels are shaped using a cold forming "Press Break" process. The method is simple, consistent, and predictable. The curved sections of this hull fit together easily, with minimal adjustment onto the framework. Along with Architectural drawings 'Bezier Chine' construction uses full size flat patterns and or Cad-Cam cutting files for the build. The result is the unmistakable beauty of a true round hull where the graceful lines of the hull curve to meet the water.